This is a hasty guide to get right into building your very own sensor, just for users already familiar with building sensors and know what they're doing. If you're not an NSM ninja, you can start building from the beginning of the full docs here. 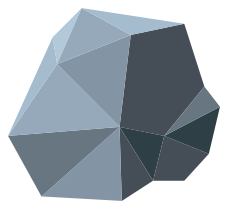 Download the lastest ROCK build from download.rocknsm.io and create a bootable disk using your favorite burning utility. Deploy your sensor by executing the last setup option "Run Installer"
A good next step would be the usage section for details on doing basic functions checks before plugging into the stream.